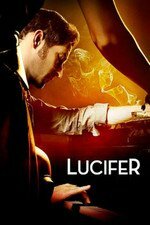 When a food chemist is found dead, Lucifer and Chloe's investigation pits them against an unexpected face--criminal defense attorney Charlotte Richards. Den of Geek - Lucifer and Charlotte begin a new relationship. Back when Mom-Charlotte went through the portal, I figured that was the end of Tricia Helfer's run on the show, until I saw her at DragonCon talking in a non-spoilery way about filming this new season. I couldn't imagine how they'd bring Actual-Charlotte into the show. I mean, obviously they'd be able to bring her into the case-of-the-week side of things as a lawyer, but I didn't see how the character would fit in with the supernatural/emotional side of things. Anyway, I thought this was a terrific episode. Last week's lousiness had me a little worried for the season, but this was more like it.